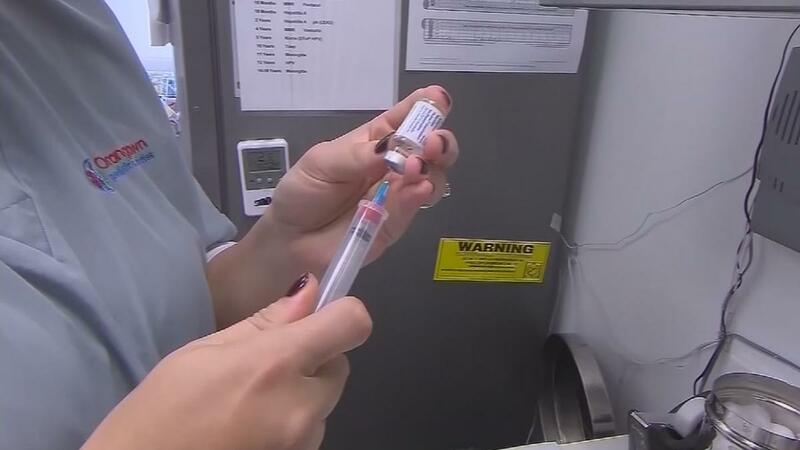 PHOENIX (3TV/CBS 5) – More Arizona parents are opting out of vaccinating their children because of personal beliefs, according to the Arizona Department of Health Services. AZDHS director Dr. Cara Christ, M.D. said she’s seeing an increase in the number of parents submitting vaccine exemption forms. This includes child care, preschool age students and K-12 graders. Dr. Christ called the trend alarming and is concerned about a measles outbreak. According to AZDHS, nine out of Arizona’s 15 counties, including Maricopa County, are not adequately protected against vaccine-preventable diseases like measles, mumps and whooping cough. “Right now, you have six out of 10 kindergarten classrooms in Arizona that would not be able to stop the spread of measles if measles was introduced into that classroom,” she explained. She added it’s the third year in a row she has seen the increase across all age groups, including childcare/preschool, and K-12 grades. One Phoenix parent said his daughter was unresponsive after a routine vaccination. He has not let that stop him from making sure she has her required shots, but he believes parents should have a choice. Another Phoenix mom said parents who choose not vaccinate their kids for personal reasons should seriously reconsider their decision. “Our recommendation in public health is to get vaccinated. Vaccines are safe and effective,” she said. However, a Facebook group called the Arizona Coalition for Medical Freedom advocates for parental choice. “Our mission is to ensure parental choice and informed consent. Parents deserve the right to be fully informed of all potential vaccine reactions and to understand that vaccine manufacturers cannot be sued or held liable for adverse reactions,” said a group spokesperson in a written statement. Some parents of the group believe their children have been medically injured by vaccines. The group is hosting a March for Medical Freedom on May 18 at 9 a.m. at the Arizona State Capitol.